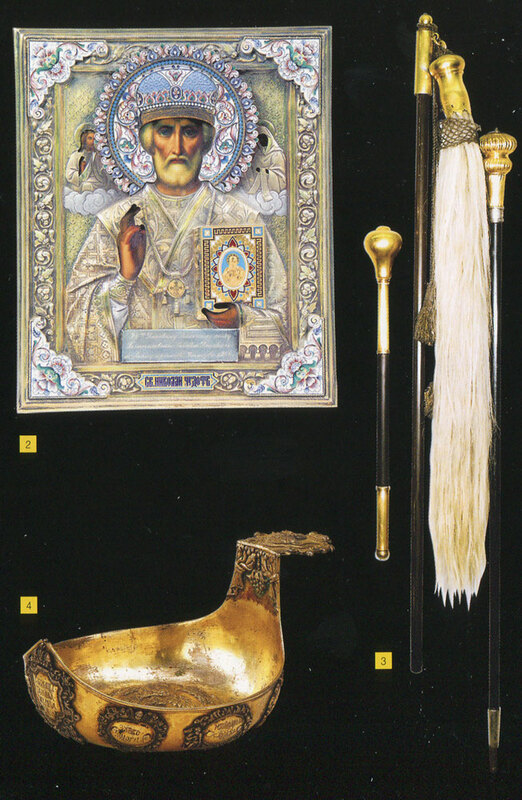 Culture | From the history of the Cossacks. EN 2. Icon “Saint Nikolai, Archbishop of Likiyan chrisms, the Thaumaturgisf — blessing of emperor Nikolai II to Don Army to 24 Don Cossack regiment in the war against Japanese. Russia beginning of XXc. (wood, tempera, levkas, silver, enamel).